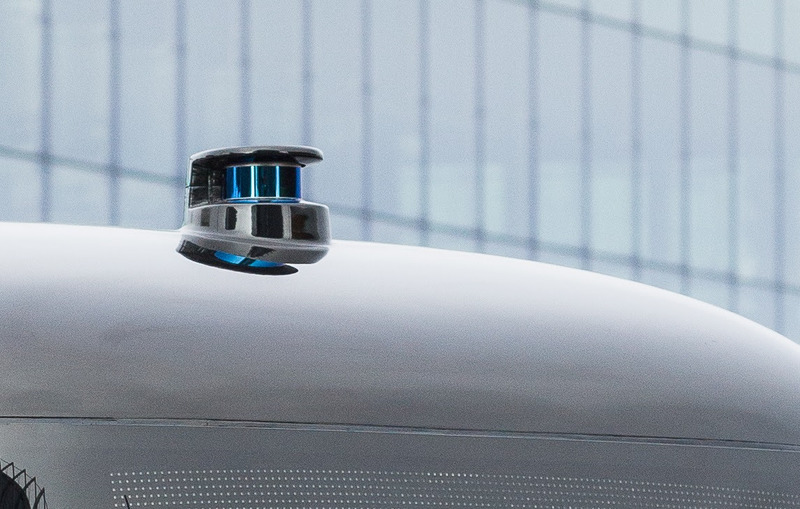 March 14, 2019, Shenzhen, China – RoboSense http://www.robosense.ai, a leader in LiDAR perception technology solutions and CES 2019 Innovation Award Honoree, announced today that it has provided cold-resistant all-weather LiDAR for the world’s first autonomous driving shuttle bus for all weather conditions — GACHA. GACHA is equipped with RoboSense’s advanced cold-resistant 16-beam mechanical LiDAR environment perception system to operate vehicles in harsh winter and other severe weather conditions. The autonomous shuttle bus robo-taxi GACHA was designed in collaboration with Finnish autonomous driving company Sensible 4, who provided superior software for positioning, navigation, and obstacle detection; Japanese company MUJI, who provided excellent expertise in design and user experience; and Chinese company RoboSense, who provided advanced cold resistant LiDAR. RoboSense will be joining Sensible 4 on their first GACHA bus fleet deployment in Aprilfor use on public roads, as well as future projects in various cities in Finland and abroad. “I’m pleased that our product has helped Sensible 4 and MUJI’s jointly designed GACHA self-driving shuttle bus solve perception problems in all weather conditions. In the near future, all RoboSense multi-layer LiDAR products will be able to operate in automotive grade low temperatures under -40℃,” said Mark Qiu, COO, RoboSense.